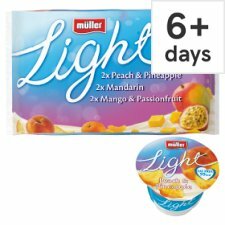 Müller Light yogurts offer a rich, creamy tasting, fat free, delicious snack to enjoy anytime of the day and all this at only 99 kcal or less! With all the tasty varieties on offer, the toughest choice is deciding which one to try next! 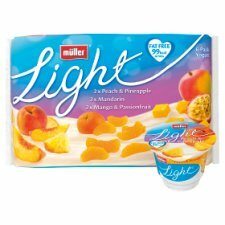 Made with real fruit, enjoy fat free Müller Light yellow fruits yogurt at only 99 kcal per pot.